When Red Rose Tea began to offer Wade miniatures in 1967, it wasn’t uncommon to promote food and beverage items with free premiums. Even so, the success of Wade figurines for Red Rose was unprecedented, boasting a production run for the first series of miniatures that numbered in the millions. The miniatures soon became a perennial item in boxes of Red Rose Tea. To date, it is estimated that more than 300 million Wade figurines have been given away in packages of Red Rose Tea in America. George Wade came into ownership of Wade & Sons of Burslem, England in 1899, eventually renaming it George Wade Pottery. 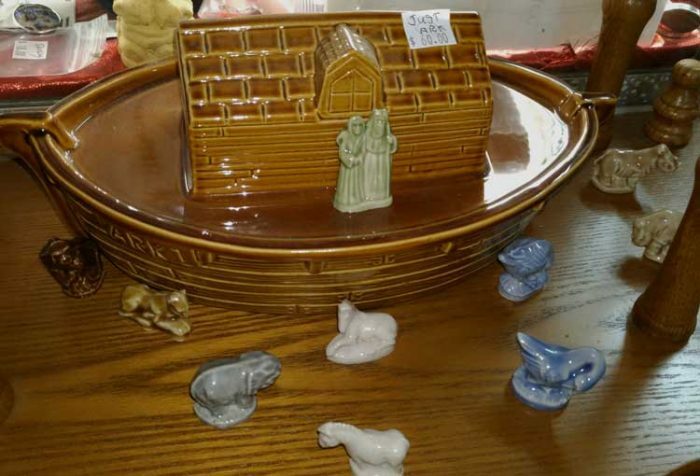 The style of figurines known as “Wade Whimsies” first appeared in the 1950s, and have been a regular promotion in Red Rose Tea in the United States since 1983. Stop by and see our amazing collecting of Wade miniatures. 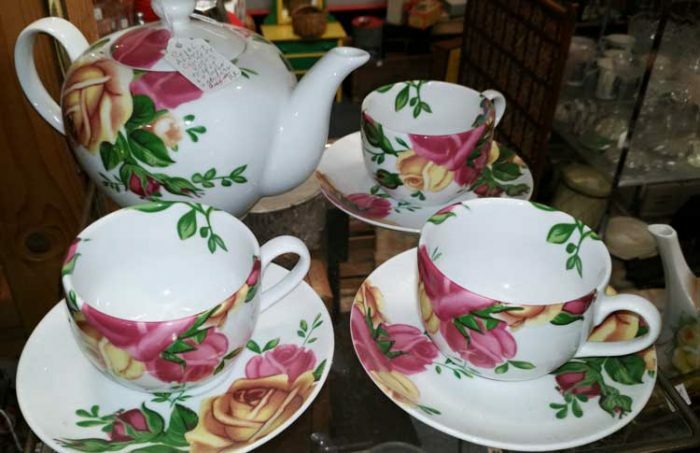 We have an amazing selection of teacups and teapots. Of course, with our huge ‘collection of collections,’ we’re sure we can help you discover a perfect gift for him or her that says, “I love you!” on that special day. Yes, we’ll be watchin’ for you. Stop by soon.